Η εκδήλωση διοργανώνεται από το Επιστημονικό Συμβούλιο του Εθνικού Κέντρου Τεκμηρίωσης (ΕΣΕΚΤ). 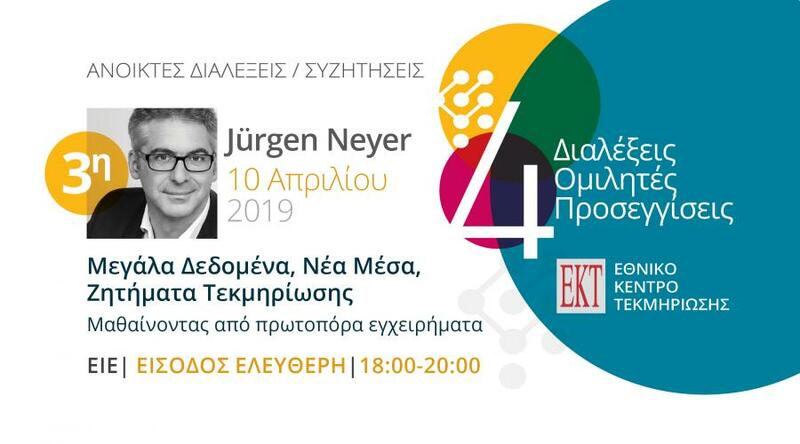 Jürgen Neyer is Professor of European and International Politics Politics and Dean of the Faculty of Social and Cultural Sciences at European University Viadrina. Together with Ben Wagner he is Director of the Centre for Internet & Human Rights. His research interests focus on accountability and legitimacy of European and international multilevel governance structures. Neyer has taught and worked at the Johann-Wolfgang-Goethe Universität in Frankfurt am Main, the Ludwig-Maximilians-Universität München, the Universität Bremen, the European University Institute, Florence and the University of California, Berkeley.